We are often asked if a California condominium or homeowners association has the authority to tow vehicles from the association if the vehicle is parked in violation of the association’s Rules and Regulations. The answer is that an association has the right and authority to tow vehicles, assuming that the Association has the proper signage posted in accordance with the California Vehicle Code, the towing is conducted in accordance with the California Vehicle Code, and the association’s Rules allow for same. Do you tow vehicles at your association? 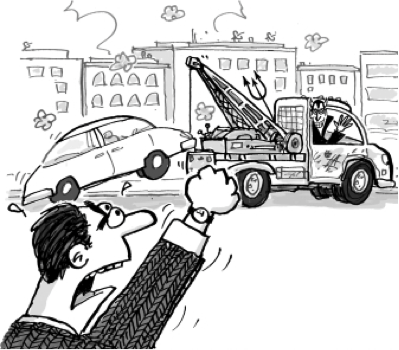 Are you considering adopting rules regarding towing? We have updated our information on towing vehicles at community associations and turned it into a printable article. Follow this link to download it.